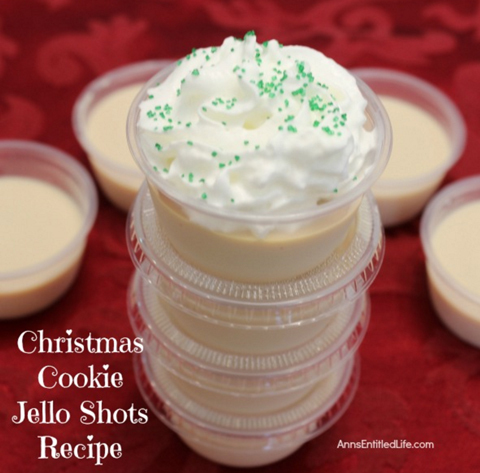 If you are a lover of Christmas cookie jello shots you might be wondering where to find the recipe description. You do not need to look after the preparation method and ingredients anymore. This creamy, delicious and slightly sweeter are perfect for those who love holiday partying and home get or friends get together. The preparation time is about 25 minutes after which you wait for it to cook for about ten minutes. The main ingredients include water, unflavored gelatin packets, butterscotch liqueur, bailey’s Irish cream, Cointreau liqueur and whipped cream for garnish. This is meant for party or holiday for those who are aged twenty one years and above.